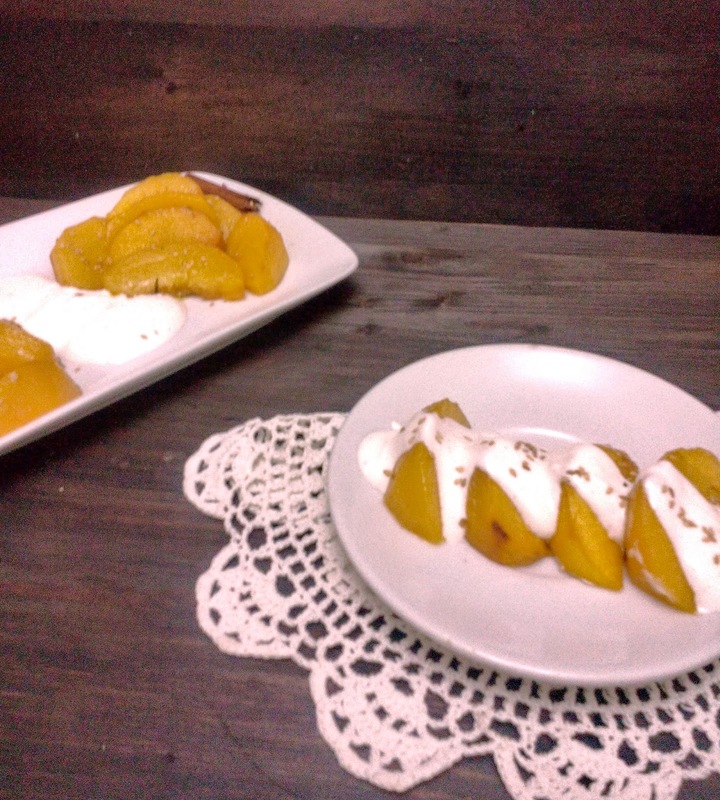 Una receta dulce pero libre de azúcar, muy fácil, sana y perfecta para llenar el hueco de la merienda....a veces no está mal degustar algo dulce sin que nos aporte tantas calorías verdad? 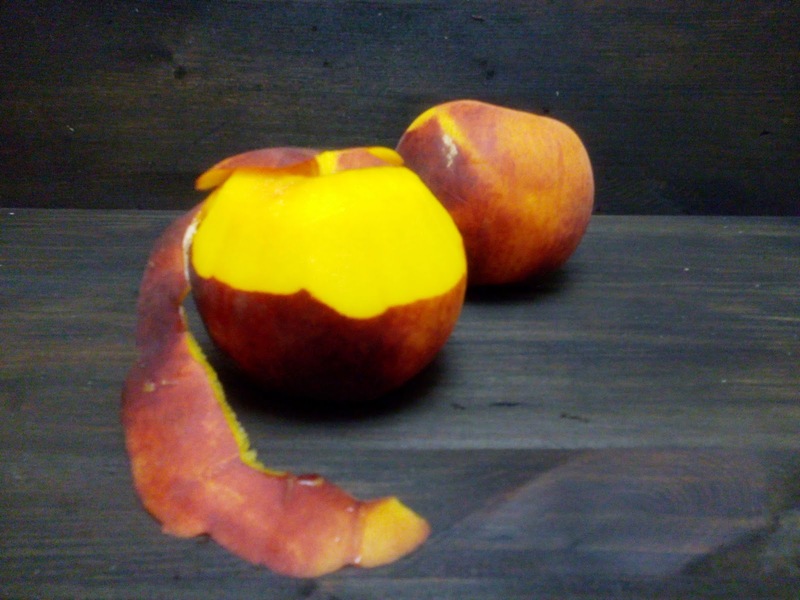 A sweet recipe, but sugar free, easy, healthy and perfect to have like a snack...sometimes is really good to eat something sweet without calories right? 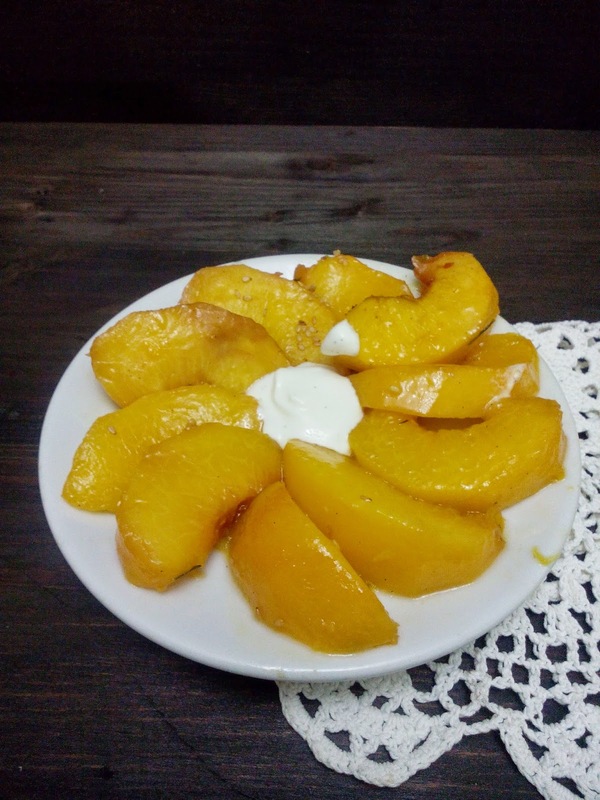 I´ve seen several recipes for baked peaches and this time I wanted to make my own; although we are not in the peaches season yet, I was lucky and I could find them at the grocery store in my neighborhood, but this recipe, perfectly can be made with canned peaches, they will give more sweetness to the recipe. I think vanilla ice cream fits perfectly, but this time I wanted it to be a light recipe, so I used natural yogurt with sugar cane honey on top. 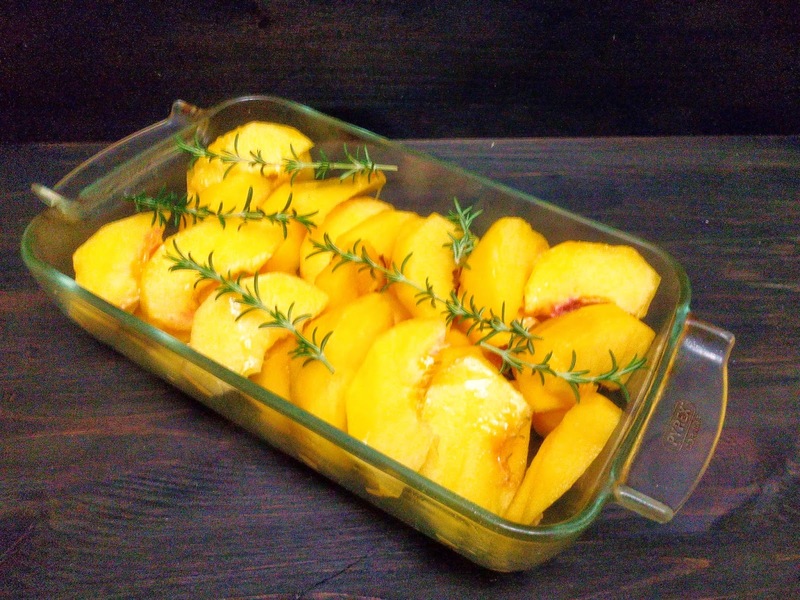 1º) Peel the peaches and cut them into wedges, then place them in the baking dish and sprinkle a teaspoon of olive oil on top. I also used rosemary sprigs. Put it in the oven at 190ºC for about 25 minutes. 2º) In another pan, mix the water, the orange juice, cinnamon, ginger and the cognac. Put it on low heat. 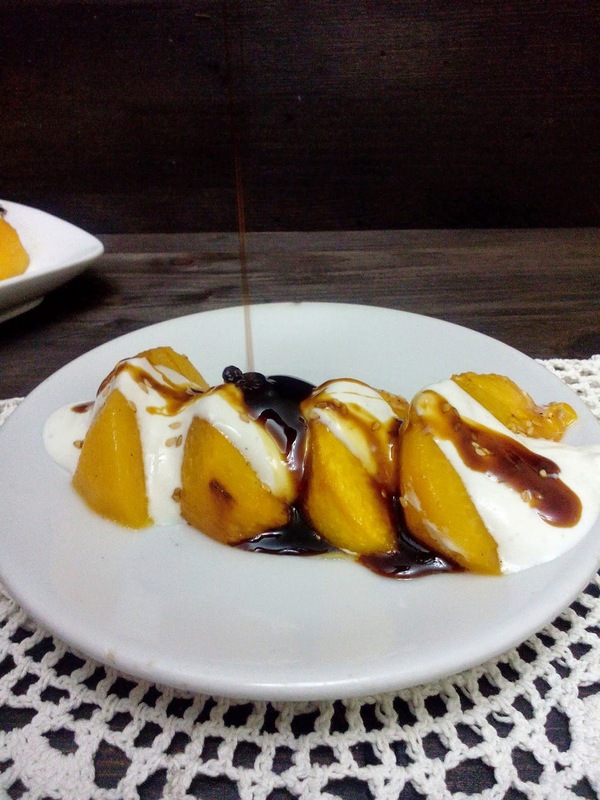 3º) When the peaches are ready, take them from the oven and sprinkle over them the orange juice sauce that you just made. Leave like this for about 5 minutes in the baking dish before serve them. Time to serve...and eat!!! 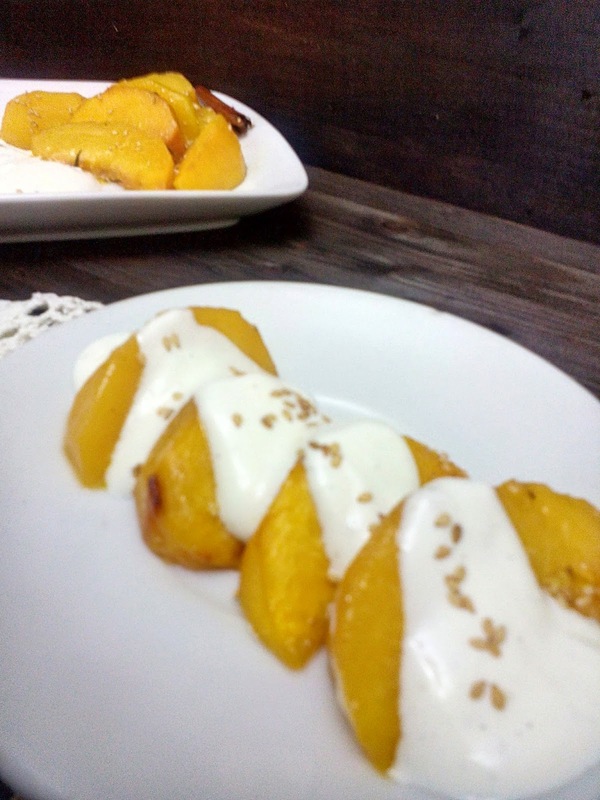 as I said before, I didn´t use sugar, although the peaches will be also nice as you sprinkle some brown sugar on top. I hope you liked the recipe, you can make your own at home, as you can see is very easy and you can combine whith different ingredients. Have a good week ahead...and see you soon!